Being in the right place at the right time helped NorthWood grind out a tough road win Saturday afternoon. Morgan Stickley took the trash and made it treasure, hanging off the back side of a corner kick service and slotting her shot into the tiniest of windows and into the back of the net. The goal in the 16th minute was all that went on the board. Avery Bontrager sent the corner kick inward, looking for a pair of charging targets, and after both missed connection, Stickley hit a one-timer between three Bethany defenders for the goal. Kira Robinson made the goal stand up, doing so dramatically by making a diving save on a penalty kick with under 30 seconds left in regulation. Robinson made nine total saves for the clean slate, her second shutout of the season. NorthWood (2-0) will take on Westview on Tuesday. Wawasee may have earned its best result in the Tracy Walesa era in a scoreless draw with a perennially tough Westview side. Wawasee managed just four shots on target, three coming in the first half, but played defense enough in front of keeper Graceanne Kerlin to keep Westview from getting too deep into the Wawasee third. Kerlin needed to make just three saves to earn her first shutout of the season. Wawasee (1-1-1) will head to Manchester Tuesday. 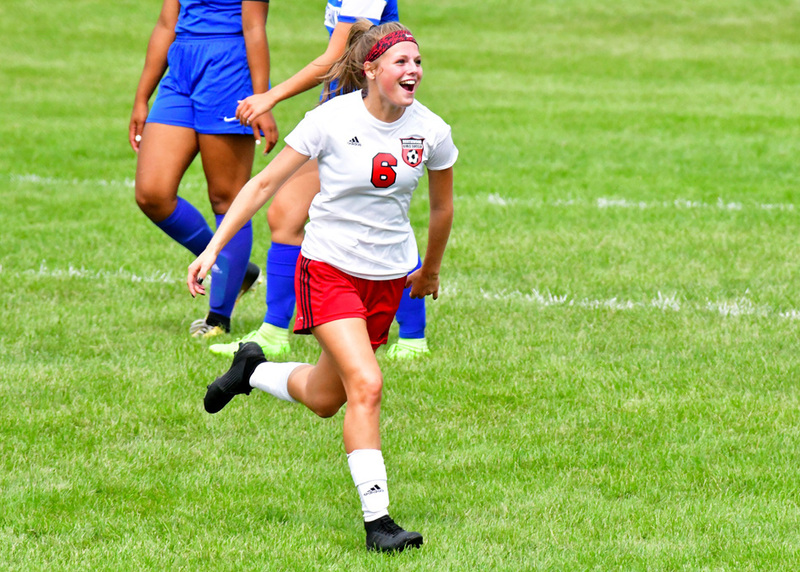 Delaney Taylor had a goal and two assists to help Warsaw to a physical win over Chesterton in the morning game of a doubleheader at the Indian Invite hosted by South Bend St. Joseph’s. Brenna Buhrt, Abby Steffensmeier and Corissa Koontz also found the net in the contest for the Lady Tigers. The second game for the Lady Tigers came against the defending Class 2-A champions from Evansville. Ryleigh Anslinger scored two goals and Isabel Alexander added the other for Memorial, which lost to Penn, 4-3, in its morning game at the star-studded tourney. Warsaw actually led 1-0 at the half, using a strike from Steffensmeier off a feed from Anna Grill for the first blood of the match. Warsaw (2-1) returns to action Tuesday at Plymouth in the Northern Lakes Conference opener for both teams.